Amy’s Top 10 Handmade Holiday Picks from ACFTRA! AFTCRA is an online marketplace where you can buy and sell American handmade products. Our mission is to support local artists and artisans living in America by connecting them with handmade admirers across the globe. Our partners are our users, so we strive to ensure that aftcra is constantly evolving to fit our buyer’s and seller’s needs. 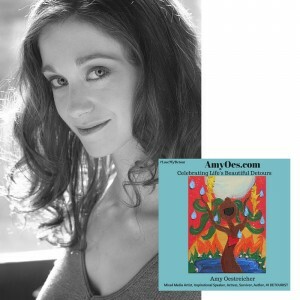 Post by aftcra Guest Blogger, Amy Oestreicher of Amy Oes. It’s the season of giving, celebrations and memories, and it’s always the season for arts, crafts and other wonderful goodies! This year, don’t go for the gift card or the newest I-Phone. 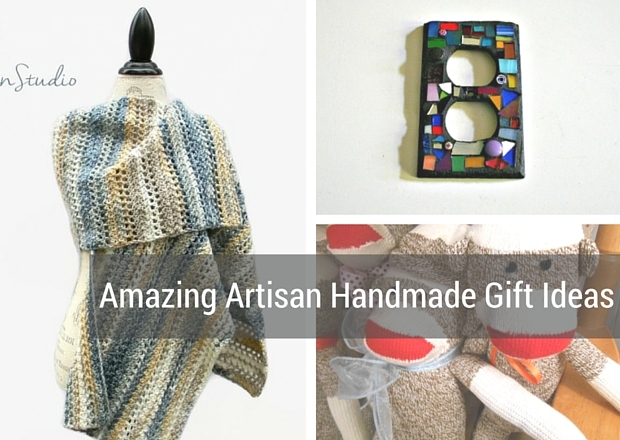 Check out some of these amazing artisanal handmade Christmas gifts that will surely make your loved one smile. I’m a huge fan of handmade art and creative gifts. In fact, it’s creativity which allowed me to thrive through difficult times and to truly enhance amazing times in my life. I’m a mixed-media artist, actress and writer with a one-woman autobiographical musical about my near-death experience and my continued celebration of life. Creativity has been a mindset that’s saved my life, and art has become my way of connecting with myself and my world. Now I use my artwork to inspire others with my message of hope, resilience and gratitude. I believe anyone can and deserves to create art, joy and the life of their dreams – no matter what. 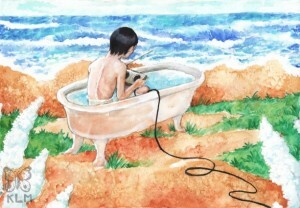 Art has certainly helped me cope with deep hardships in my life. Originally, painting became such a blessing for me because it was an amazing way for me to express what was too overwhelming, frustrating and scary for words. Most importantly, I paint whatever I feel from the heart. I love experimenting with acrylics, painting my world of trees, birds, flight, girls dancing, and tear drops. Now, art just makes me happy, and I’m happy to share my art in my galleries on amyoes.com, lead mixed media workshops, and sell some of my art on Etsy! And these nine artsy gift ideas are certainly bound to inspire! 2.) 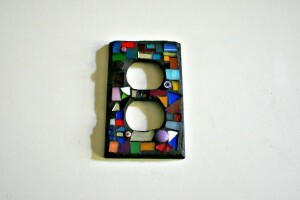 This mosaic outlet cover is gorgeous, quirky, artsy and colorful. When you plug in, you’re bound to do it in style now! 3.) 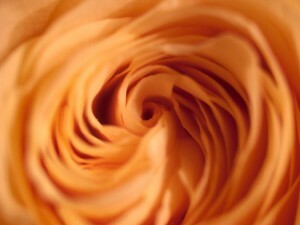 This swirl flower photography sweeps me into a whimsical place of wonder. The calm color palette and clear focus of this photograph are perfect for a bedroom, or any place you’d like a bit more zen. 4.) I would call it amazing, but the soap says it for me. 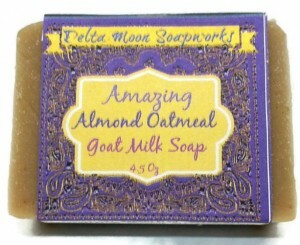 Check out this amazing goat milk soap with the most exotic, soothing notes of almond and oatmeal. 5.) What does the fox say? 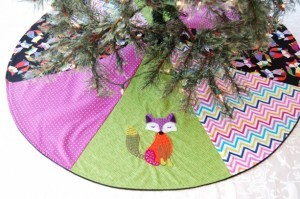 The fox says that this is the cutest tree skirt, perfect for your Christmas tree this year! Handmade, vibrant colors, and an adorable little animal friend to keep your gifts company! 6.) 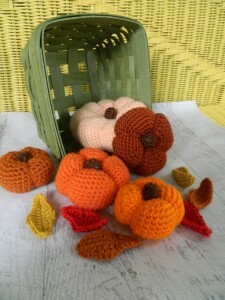 Of course, there’s still time to celebrate the bounties of autumn, and what better way than these beautiful little crocheted pumpkins? These pumpkins will stay soft, cozy and seasonal all year long! 7.) If you’ll be home for the holidays, remind yourself there’s NO place like home…with Ruby Slipper necklace. These will always remind you of that classic little line from Wizard of Oz. 8.) 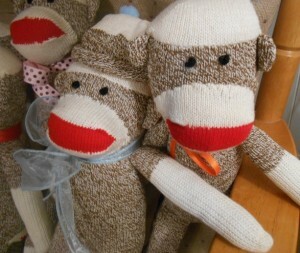 Every kid, as well as every kid in us all needs a handmade sock monkey. 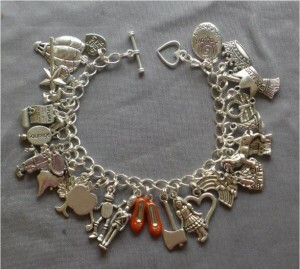 This is made with lots of love…and socks! But these socks will DEFINITELY make you feel cozy! 9.) 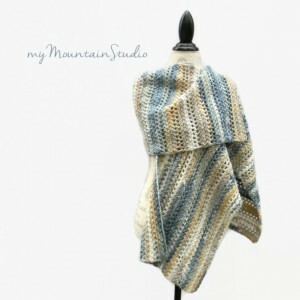 I am absolutely in LOVE with this beautiful Sand and Sea ladies shawl. The colors bring me right back to the beach, and the warmth is exactly what I’ll be needing this winter. So…’tis the season of giving…that’s my wish-list right there! So many beautiful pieces of art! They would make great gifts. Thanks for sharing on the Blogger’s Pit Stop.